It has been one month since I updated my blog. These days, I am busy to post articles to my another blog and this one cannot been posted often. Anyway, we've got a lot of snow that I have never seen such snow outside of the ski area. That is a shrine, which I sometimes mentioned in my blog. 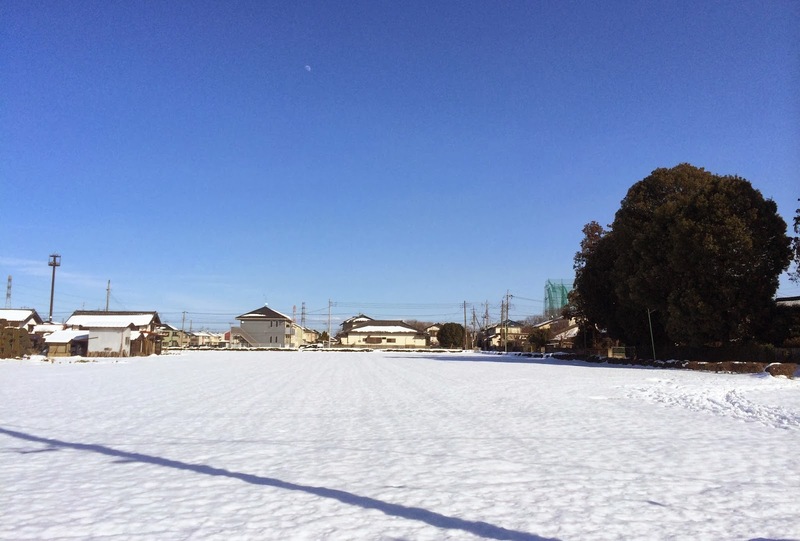 スキー場顔負けの状態です。It really looks like a ski area. 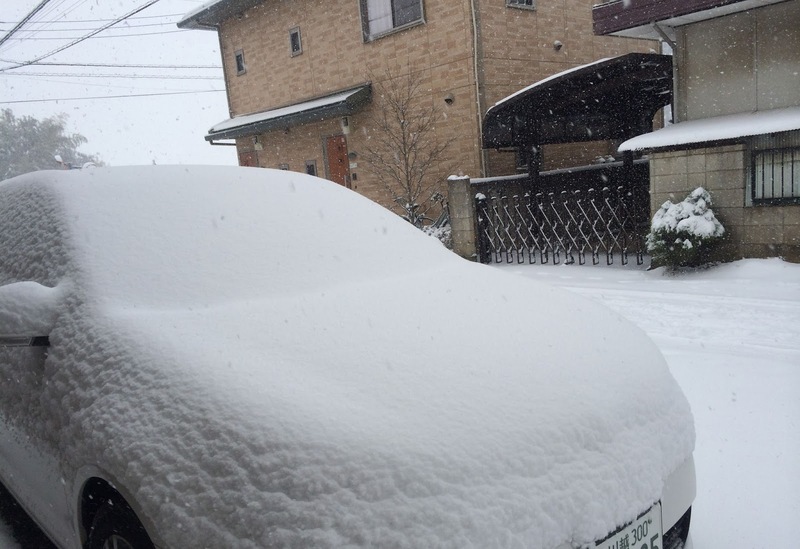 Usually, it cannot be happen in Saitama prefecture. 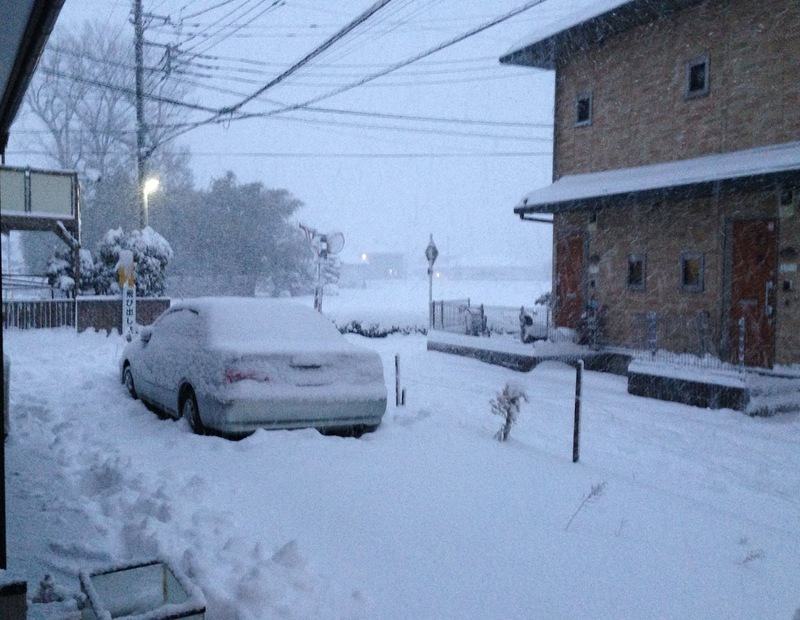 The heavy snow was from Friday night to Saturday and couldn't go outside by our car. 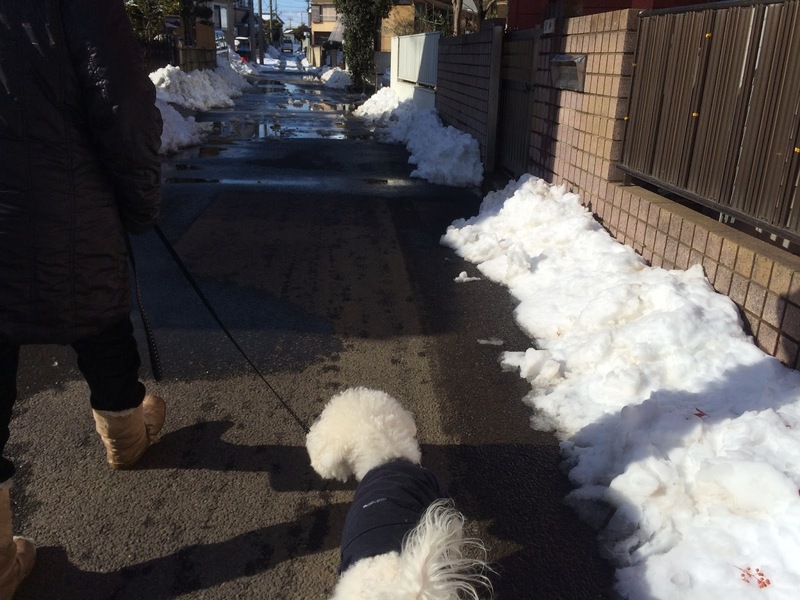 It blocked by so much snow. 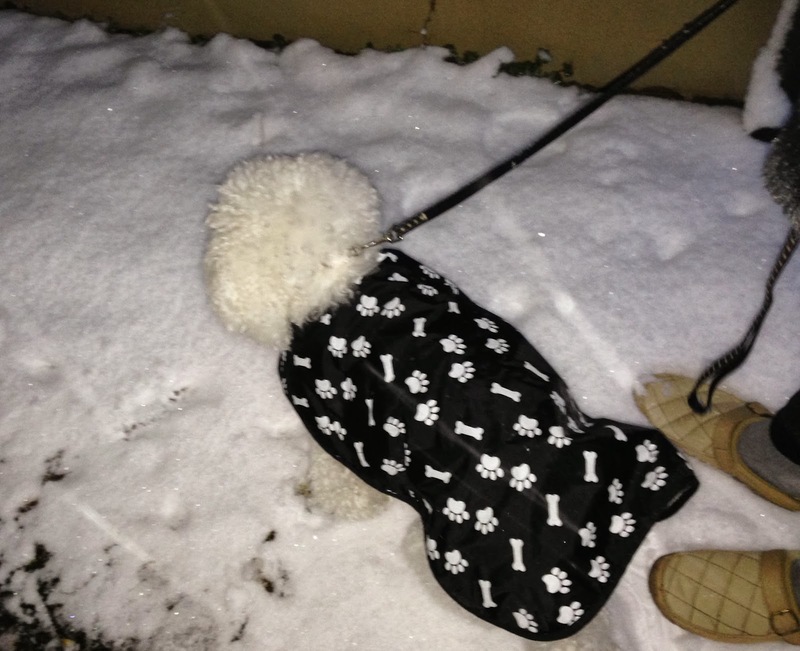 It difficlut to pee outside for Moku. He got shoes but he took off when he walked around. 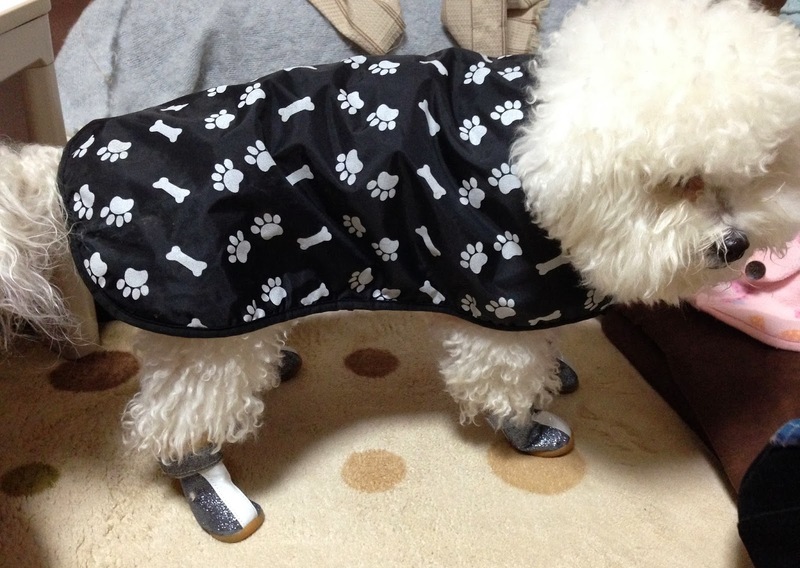 As a result, he got dirty paws everytime he went out side for toilet. Snow has stopped to fall on Sunday, and become a good day for snow shovelling. However, we didn't have any equipment for that. Therefore, Mokumum used a dust pan and I used a lid of storage box. Then, we both got muscle pain. 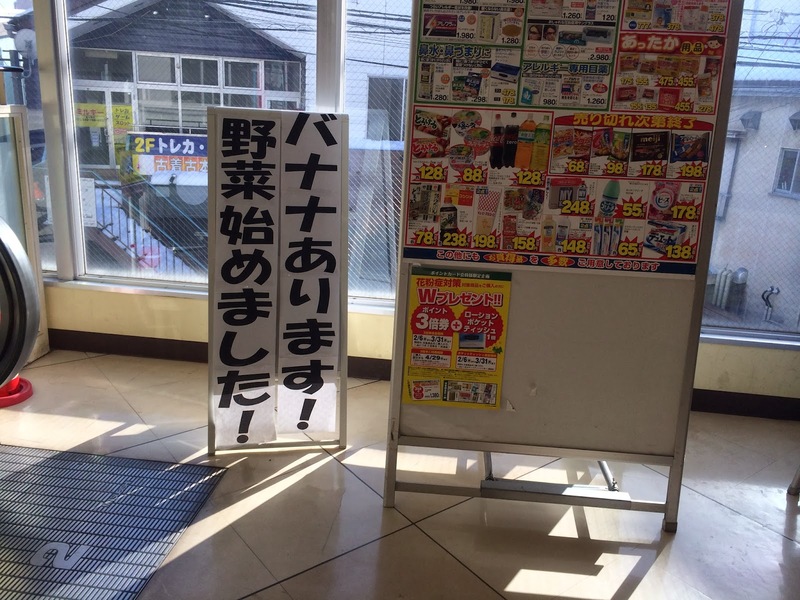 This is a photo of a drugstore near the train station. I went to there because I don't like stay in my home all day and walked to there. I said "Snow trek". This shop started to sell bananas and vegetables even it is a drugstore. We've got big snow another weekend also. This photo was taken at same place as above. 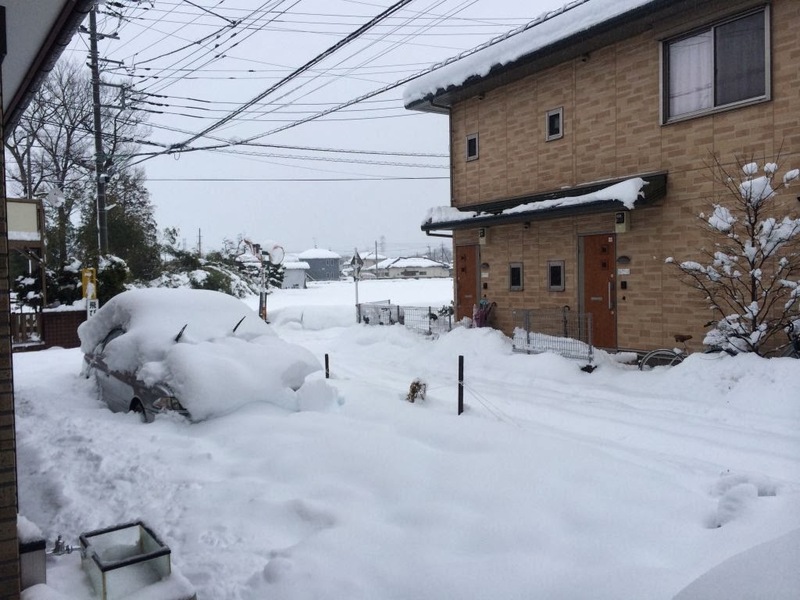 The amount of snow was much higher than the last week. So many people went to shop to get scoops and long boots and it makes the shops shelf empty. 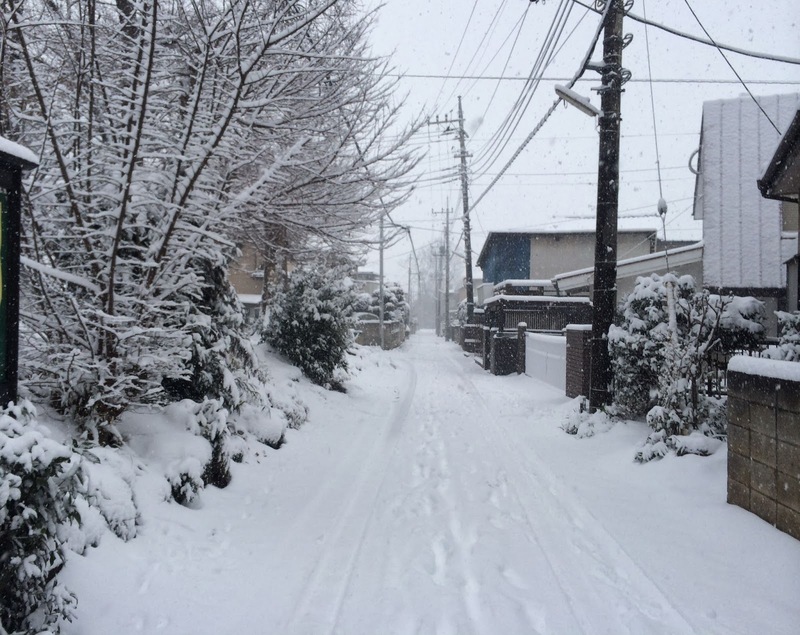 Tokyo was covered by a lots of snow and Nagoya also, but even the same prefecture of Nagoya, my home town didn't get any snow, but just some rain. What a surprise.